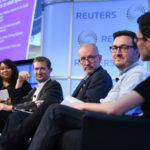 The next Newsrewired digital journalism conference will take place on 27 November 2019 at Reuters in Canary Wharf, LondonThis will be our 25th conference and, as usual, our sessions will give practical tips and advice on tools and strategies that delegates can try in their own newsrooms. Details of the agenda that will be announced soon. A limited number of early-bird tickets are now available – book yours now for just £140 +VAT (standard price £190 +VAT). The early-bird offer ends 5 May 2019 or when the tickets sell out. Tickets include lunch and refreshments, networking drinks and a delegate ‘goodie’ bag. 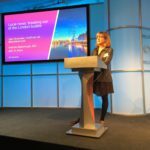 A focus on practical, hands-on learning has always been at the heart of our events, and Journalism.co.uk will be hosting a full day of training the day before the main conference. A Newsrewired+ ticket allows delegates to attend the conference (27 November) and one of the two full-day courses running the day before (26 November). Details to be announced soon. 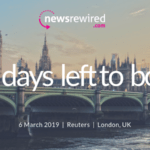 Early-bird Newsrewired+ tickets are now available for £349 +VAT (standard price £399 +VAT). The early-bird offer finishes on 5 May 2019 or when the tickets sell out. 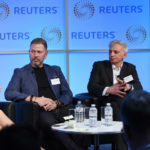 The Newsrewired conference, which took place on 6 March 2019 at Reuters in London, showcased once again the most interesting projects and latest trends in digital journalism. 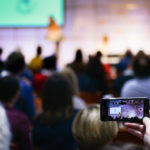 If you weren’t there, or if you simply want to remind yourself of the topics of the day, check out this editorial selection of the best conference coverage articles. Looking for speakers’ presentations? Find them here. 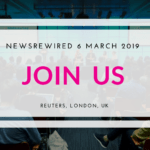 The next Newsrewired conference will take place in November 2019. We are currently working on the agenda and will announce the date soon. If you would like to participate as a speaker or a sponsor, please get in touch with our editorial team. In 2015, local newspaper Nice-Matin filled in for bankruptcy. Four years on, it employs 180 journalists across 14 local editions, thanks to a subscription strategy boosted by solutions journalism. Looking outside your newsroom – and your city – for stories comes with unexpected benefits. Here are the key points from our Newsrewired panel which looked at the benefits of investing in smart speaker-friendly content, and explored projects by early adopters. Removing barriers between readers and content enables publishers tap into wallets of readers who are not willing to commit long-term – at least not initially. Solutions journalism can hold the key to engaging young, social media-savvy audiences with strong visual content. Many journalists and publishers are struggling to get to grips with blockchain. All pictures are by Frank Noon/Mousetrap Media. Looking for more pictures from the event? Check them out here. To explain it in simple terms, blockchain is a growing list of records – called blocks – which are encrypted and linked. Each block also contains a timestamp and other information about the origin of data. By design, a blockchain is resistant to modification of the data it contains, which may come in handy when we need to protect news content from tampering or even censorship. Difficulty to monetise, discover content and issues around privacy are some of the reasons why publishers are reluctant to start producing content for voice-controlled devices, despite their potential to be a new revenue and content stream. At Newsrewired (6 March), a panel of experts discussed how they are tackling these concerns. Journalism and life very much happens outside of the capital. 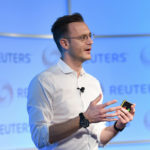 That was the message from Matthew Barraclough, head of BBC Local News Partnerships (LNP), speaking at newsrewired (6 March 2019). 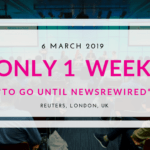 With only one day to go to our Newsrewired conference, taking place tomorrow at Reuters in London, UK, we are pleased to announce two new speakers will be joining us on the day. Is it worthwhile converting your written content into audio and making it available on Amazon Alexa or Google Chrome? What if stories focused on solutions rather than problems could attract a larger audience? And why is it important to get out of the London bubble and focus on your regional readers? 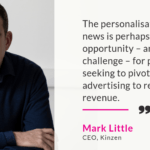 Mark Little, CEO of Kinzen, will be joining the panel on new ways to finance journalism in the digital age. Kinzen is developing personal news routines that connect active news seekers and quality publishers. Mark will be sharing some of the lessons he’s learned and solutions Kinzen’s building for publishers seeking more valuable personal engagement with their users. We have some more exciting news about Newsrewired! Five new speakers will be joining our panels, and we even have a new workshop for you. With only 10 days left until the event, tickets are selling fast. Don’t leave it until the last minute and book your place today for just £190 +VAT. 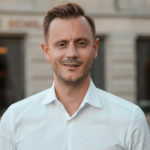 Rouven Leuener is group head of digital product at Neue Zürcher Zeitung (NZZ), one of the oldest Swiss, German-language newspapers. He took the lead on digital innovation five years ago and, during this time, he launched a number of digital products, such as a text-to-speech audio player feature that converts written articles into audio, to widen audience reach. Fifty-six per cent of UK news consumers get their news via smartphone. Although technology has changed the distribution of news dramatically, most stories are still told in the same way as they were 100 years ago. One of our workshops will teach you how to create mobile-friendly stories using creative visual formats, such as AMP stories, timelines, and more.